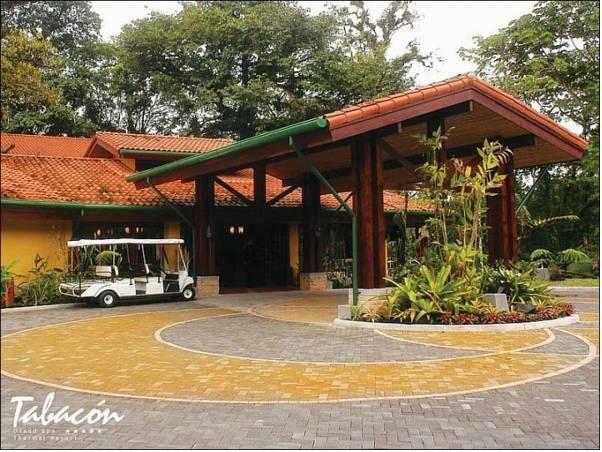 ﻿ Best Price on Tabacon Thermal Resort & Spa in La Fortuna + Reviews! Featuring hot spring baths, sauna, massages services, luxury spa treatments and 5 swimming pools, Tabacón Thermal Resort & Spa is 15 minutes’ drive from the Arenal Volcano National Park. 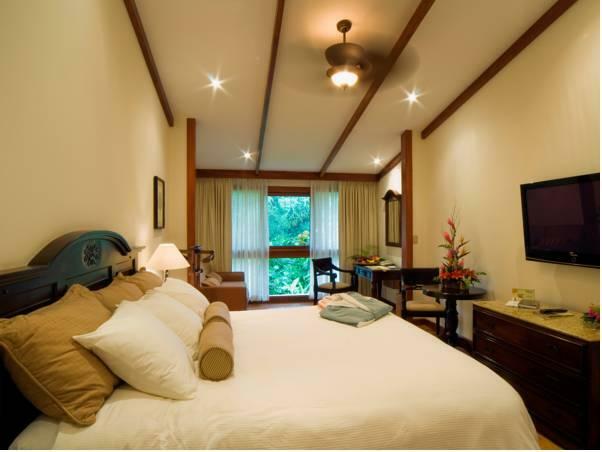 The rooms and suites offer modern décor, garden views, air conditioning, flat-screen cable TV, coffee maker and mini-bar. 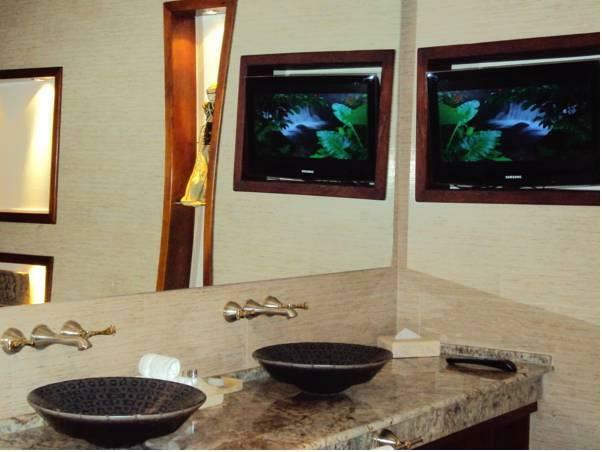 The bathrooms come with bathrobes, slippers and free toiletries. The suites also feature a living area. Guests can enjoy a swim up bar, lobby bar and Los Tucanes restaurant and Ave del Paraiso restaurant serving local dishes and international gourmet cuisine. The property also offers free valet parking, a welcome cocktail and unlimited access to its on-site hot springs. Activities such as volcano tours, rappel, hiking through suspension bridges and rafting can be also arranged. 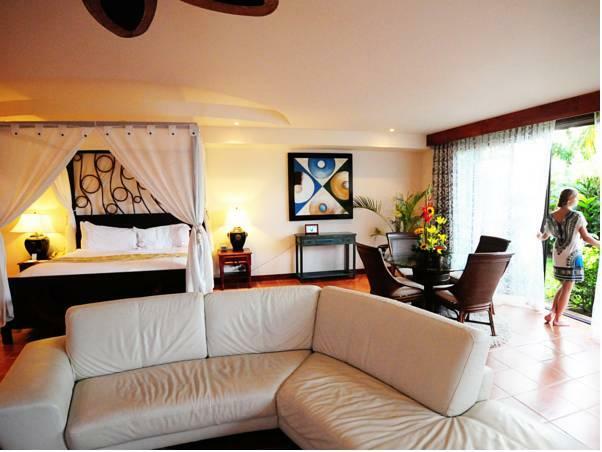 This complex is 20 minutes’ drive from La Fortuna main square and 1 hour’s drive from Venado Caves. Juan Santamaría International Airport is 2 hours’ drive away. 100% of the first night will be charged at the time of booking as a guarantee deposit. Reservations with more than 5 rooms, different policies, conditions and payments will apply. On the first night of dinner, the staff wrote our middle names on the happy honeymoon desert plate. It was a very nice gesture, but we were guessing the confirmation names read weirdly. The room lighting was dark, but was clean and had a beautiful jungle view. Proximity to volcano and town were great. Everyone should stay at Tabacon at least once if they can afford it. The fact that they include the hot springs admission into the room price makes it a good value depending on the season. The staff, the room, the premises - everything was immaculate. Eine fantastische Anlage, einmaliger Erlebnis, sensationelles Frühstück und unheimlich nettes Personal. Die heißen Quellen sind wunderschön integriert in die Einrichtung des Hotels, gepflegte Gärten, alles in allem Perfektion, die auch ihren Preis hat!